What's cuter than something that's really cute? Something really cute and TINY! 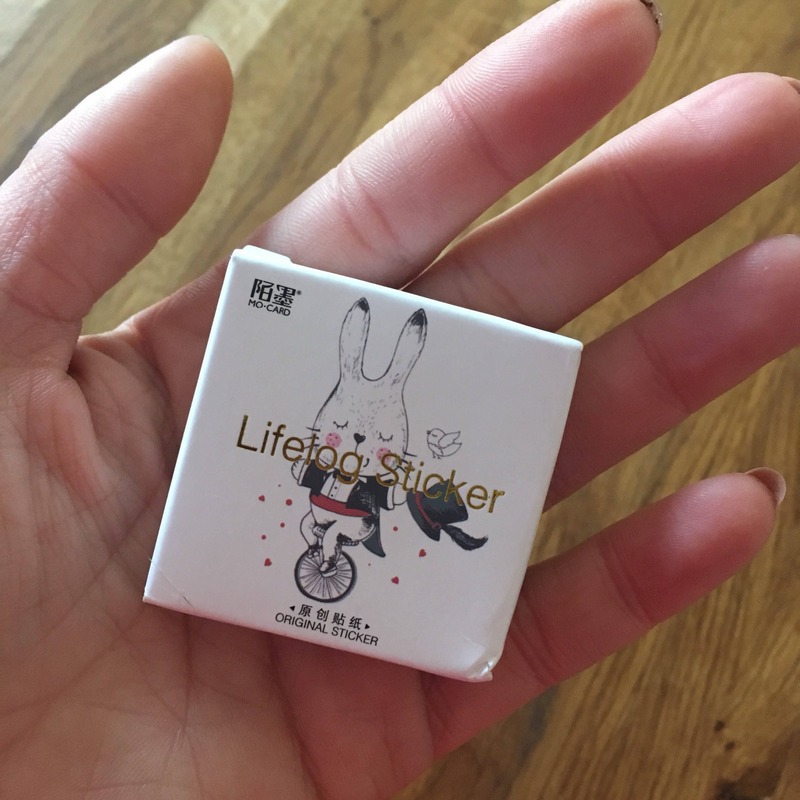 This wee box of stickers is just the thing to brighten up your planner, correspondence, or gift wrap. 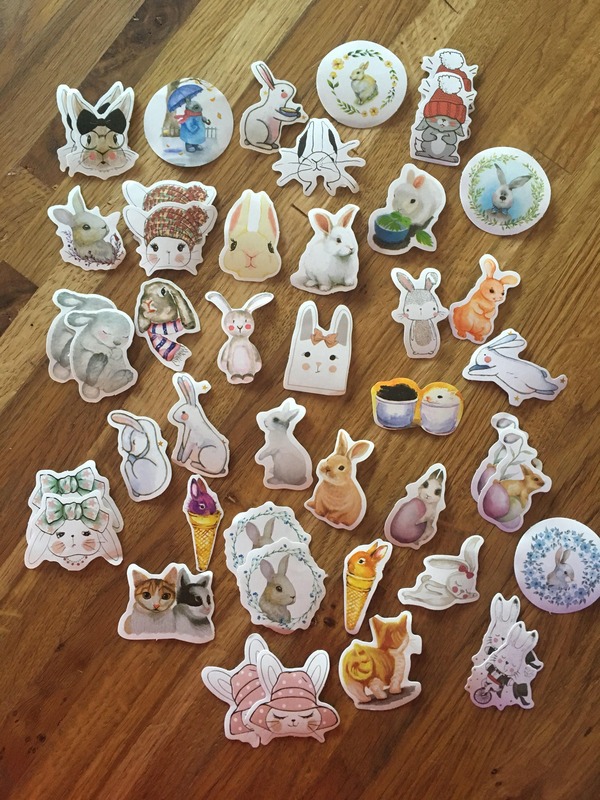 It's packed full of 45 brightly colored stickers - a whole nest of rabbits! There are rabbits in teacups, rabbits wearing hats, even bunnies in handknits! 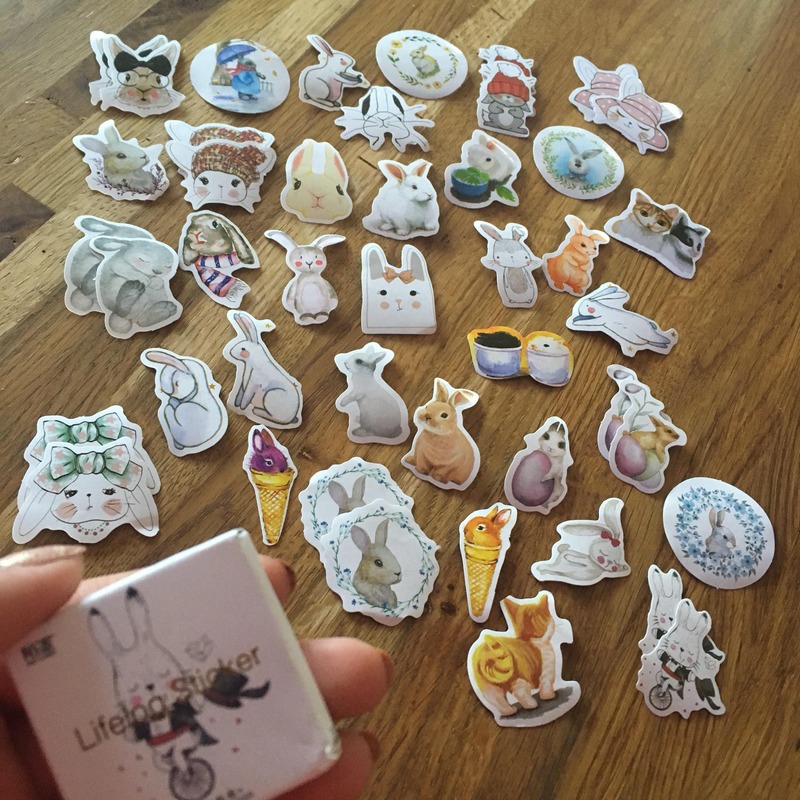 Your sticker set arrives in a tiny box which measures 1 3/4" x 1 3/4" (4.5 x 4.5 cm). The box may or may not get smashed in transit, but we will do our best with packaging and hope that it does not! Either way, we promise your stickers will arrive in fabulous condition.